A Cartesian coordinate system for specifying tubular components, especially automotive components, in three-dimensional space. Bends are located by defining the X, Y, and Z coordinates of the three points on the tube’s centerline: Each line of tangency and the theoretical intersection of both end tangents. 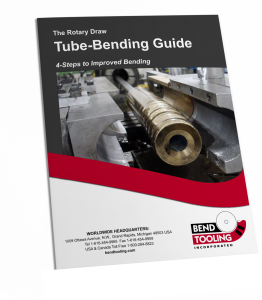 This manner of specifying the bends is precise, of course, but causes difficulties in translating rectangular coordinates into bend data for machine programming. Use our Bend Data Calculator under the Black Art section of the website to quickly perform this translation. Compare bend data.